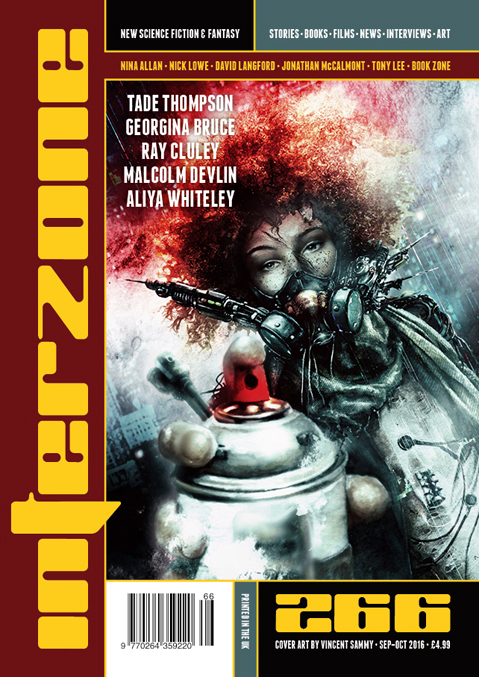 "The End of Hope Street," by Malcolm Devlin, appeared in Interzone issue 266, published on September 12, 2016 by TTA Press. Pro: The concept is interesting, and the account of how the neighbors keep adjusting to their shrinking circumstances is solid. It feels a bit like an allegory for taking refugees from war-torn countries. Con: There's no plot to it; no one is trying to do anything but survive, and ultimately only a few manage even that.